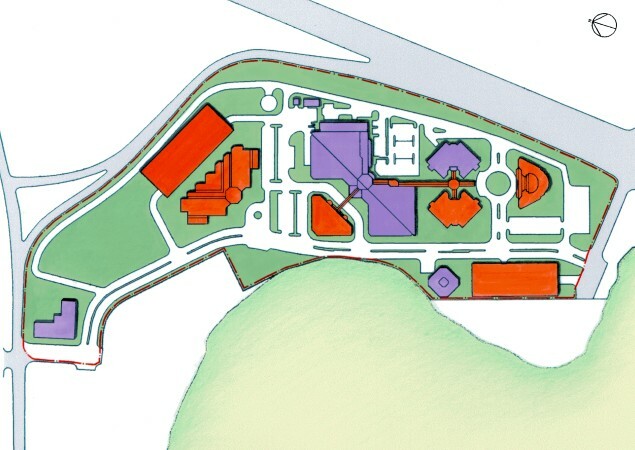 The site was divided into two parcels — a 15 acre portion for initial development and an 8 acre land bank for future needs. The 15 acre parcel was designed to create a main north-south spine with intermittent east-west connections. 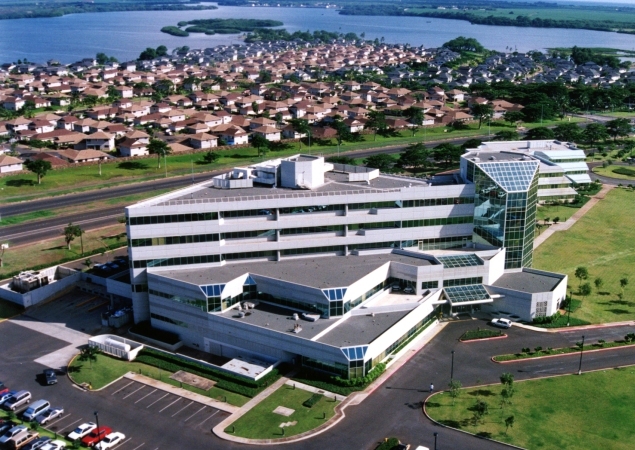 The hospital and medical office building that opened in the project's first phase sit along the spine's east side. They will eventually expand, each with a mirror-image structure situated along the spine's west side. The existing buildings will connect with the new ones at their elevator cores. The 5-story, 136 bed hospital offers a full range of diagnostic and treatment services including surgery, imaging, cardiopulmonary laboratory, pharmacy, LDR, obstetrics and ICU. 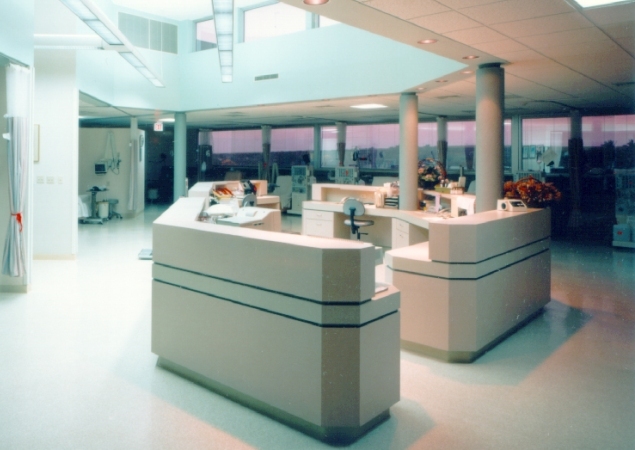 RBB also designed the ambulatory care facilities, emergency department, and 16-station renal dialysis center. A trapezoidal, two-story skylight is the entry focal point and connects the hospital to a 40,000 SF medical office building. 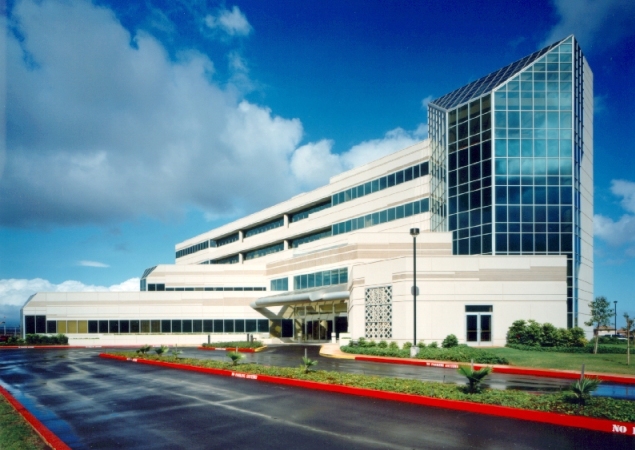 The hospital's internal circulation capitalizes on the mountain views and maximizes open spaces as a means of de-institutionalizing the hospital.